Timothy Michael Dolan was named Archbishop of New York by Pope Benedict XVI on February 23, 2009. He was installed as Archbishop of New York on April 15, 2009. Born February 6, 1950, Archbishop Dolan was the first of five children born to Shirley Radcliffe Dolan and the late Robert Dolan. In 1964, he began his high school seminary education at St. Louis Preparatory Seminary South in Shrewsbury, Mo. His seminary foundation continued at Cardinal Glennon College, where he earned a Bachelor of Arts degree in philosophy. He then completed his priestly formation at the Pontifical North American College in Rome where he earned a License in Sacred Theology at the Pontifical University of St. Thomas. Archbishop Dolan was ordained to the priesthood on June 19, 1976. He then served as associate pastor at Immacolata Parish in Richmond Heights, Mo., until 1979 when he began studies for a doctorate in American Church History at the Catholic University of America. Before completing the doctorate, he spent a year researching the late Archbishop Edwin O’Hara, a founder of the Catholic Biblical Association. Archbishop O’Hara’s life and ministry was the subject of the Archbishop’s doctoral dissertation. On his return to St. Louis, Archbishop Dolan served in parish ministry from 1983-87, during which time he was also liaison for the late Archbishop John L. May in the restructuring of the college and theology programs of the archdiocesan seminary system. In 1987, Archbishop Dolan was appointed to a five-year term as secretary to the Apostolic Nunciature in Washington, D.C. When he returned to St. Louis in 1992, he was appointed vice rector of Kenrick-Glennon Seminary, serving also as director of Spiritual Formation and professor of Church History. He was also an adjunct professor of theology at Saint Louis University. In 1994, he was appointed rector of the Pontifical North American College in Rome where he served until June 2001. While in Rome, he also served as a visiting professor of Church History at the Pontifical Gregorian University and as a faculty member in the Department of Ecumenical Theology at the Pontifical University of St. Thomas Aquinas. The work of the Archbishop in the area of seminary education has influenced the life and ministry of a great number of priests of the new millennium. On June 19, 2001 — the 25th anniversary of his ordination to the priesthood — then Fr. Dolan was named the Auxiliary Bishop of St. Louis by Pope John Paul II. The new Bishop Dolan chose for his Episcopal motto the profession of faith of St. Peter: Ad Quem Ibimus, “Lord to whom shall we go?” (Jn 6:68). Archbishop Dolan served as chairman of Catholic Relief Services from January 2009 – November 2010. He is currently a member of the Board of Trustees of The Catholic University of America. He is also a member of the Pontifical Council for Promoting New Evangelization and the Pontifical Council for Social Communications. On June 29, 2009, Archbishop Dolan received the pallium, a symbol of his office as an archbishop, from His Holiness, Pope Benedict XVI, at St. Peter’s Basilica. On November 16, 2010, Archbishop Dolan was elected president of the United States Conference of Catholic Bishops. He succeeds Cardinal Francis George of Chicago. On January 6, 2012, His Holiness Pope Benedict XVI announced that Cardinal Dolan was to be appointed to the College of Cardinals. He was elevated in the Consistory of February 18, 2012. Monsignor Robert T. Ritchie was ordained by Terence Cardinal Cooke in May 1971. During his time at St. Joseph’s Seminary he taught Religious Education at Ascension Parish in Manhattan, as well as St. Barnabas, Holy Rosary, and St. Athanasius parishes in the Bronx. Monsignor Ritchie also worked as an orderly at St. Vincent’s hospitals in Manhattan and Harrison. Prior to ordination he was sent to Ponce, Puerto Rico to learn Spanish. After completing an internship in Gualey, Santo Domingo, Dominican Republic, Monsignor Ritchie returned to Spanish studies and had his first parish experience in the Diocese of Buga, Colombia. He returned to the U.S. and was assigned Assistant Pastor in St. Catherine of Genoa, Washington Heights, where he was elected twice to Community School Board 6 and appointed to Community Planning Board 9, serving as the chairman for one year. Monsignor Ritchie also served on the Priest Senate of the Archdiocese and was the Secretary for a few years. In 1975, he was appointed by Cardinal Cooke to be the Director of Youth Ministry in the Catholic Youth Organization (CYO), where he subsequently would become the Executive Director of the CYO, while still living in St. Catherine of Genoa parish. In 1983, he was appointed by Cardinal Cooke to be the Pastor of St. Catherine of Genoa. Sixteen years later, Monsignor Ritchie was appointed by John Cardinal O’Connor to be the Pastor of Our Lady of Angels parish in the Bronx. During this time, he served on the Inter-Parish Finance Commission of the Archdiocese and was a member of the Executive Board of the Association of Catholic Schools. In 2002, Monsignor Ritchie was appointed by Edward Cardinal Egan to be the Regional Vicar of the North West Bronx. On February 13, 2006, Edward Cardinal Egan appointed him to be the Rector of Saint Patrick’s Cathedral. On March 4, 2006 Pope Benedict XVI named him Chaplain to His Holiness, with the title of Reverend Monsignor. 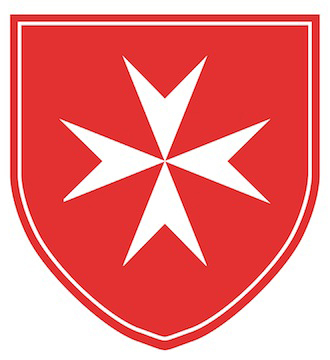 Monsignor Robert T. Ritchie is a Knight Commander of the Holy Sepulchre, a Magistral Chaplain to the Order of Malta, a Former Archdiocesan Moderator of the Patrons of the Arts in the Vatican Museums, and an Ufficiale of the Order of St. Maurice and St. Lazarus.